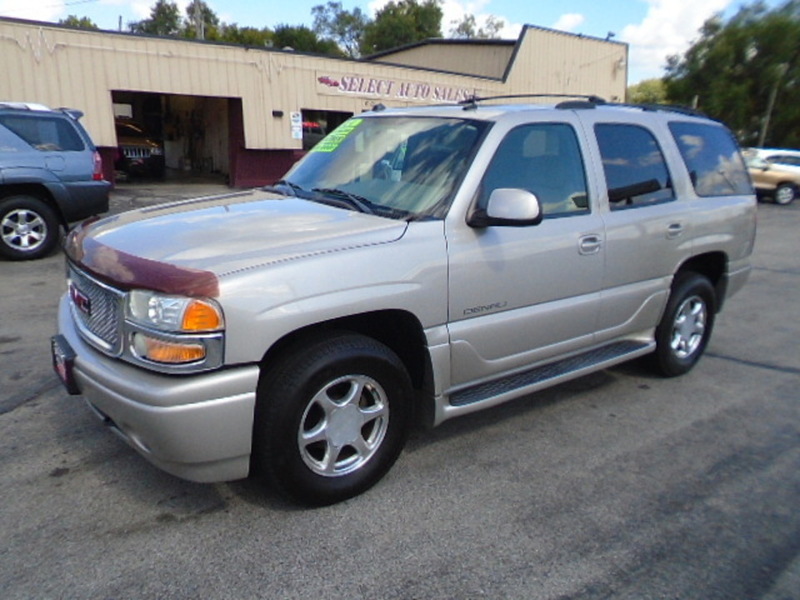 2004 GMC Yukon Denali AWD, silver with gray leather interior, 6.0 V-8, 3rd row seating, sunroof, loaded, extra clean. Shop with confidence at Select Auto Sales! Trailering equipment, heavy-duty, includes trailering hitch platform, 7-wire harness (harness includes wires for: park lamps, backup lamps, right turn, left turn, electric brake lead, battery and ground) with independent fused trailering circuits mated to a 7-way sealed connector Also includes (K47) Air cleaner, high capacity and (KNP) Cooling, external transmission oil cooler.